I am currently working at BC Hydro. 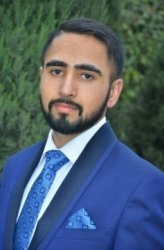 I have graduated in Electrical and Computer Engineering from BCIT. I have passion in learning math, physics and electrical circuits. I am an experienced tutor and I will show you different ways to tackle a problem. I have won scholarships and awards including scholarship from BC Hydro and medallion award from BCIT. As a former peer tutor at BCIT for 2 and half years, I have built experience in teaching students from different backgrounds. I have worked on one-to-one and group tutoring at BCIT. I have passion in teaching and learning math. I have taught students from different backgrounds. This experience has helped me understand how different people understand the concepts. GurinderFrom Kim (5/5): (Secondary Math) Gurinder is patient with the twins and uses a variety of teaching techniques to assist them understand math problems.